Is there currently any way to abuse NetTrain to maximize an arbitrary cost/utility -function in some hidden layer and/or even modify the input to increase neuron activation? 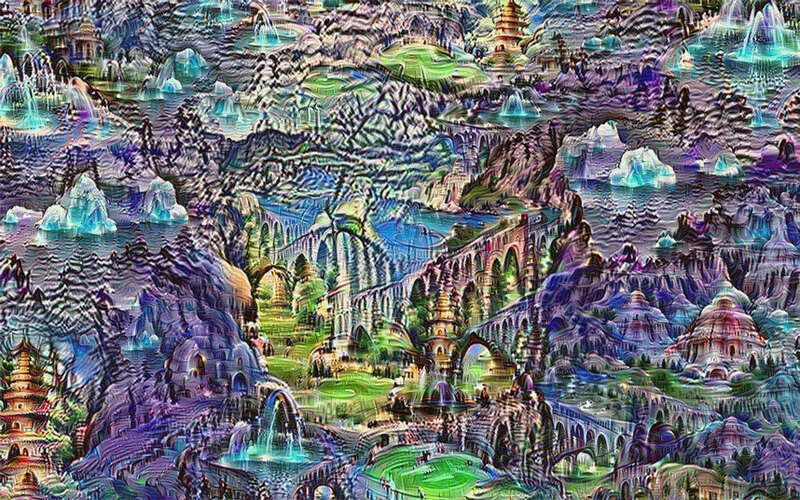 An application for this could be something like Google DeepDream from which the image below was taken (see this youtube video for a comprehensive explaination). The image was (most likely) taken by training a convolutional neural network for recognizing buildings and then iteratively modifying a supplied input image to maximize the neuron activation in neurons associated with recognizing buildings. 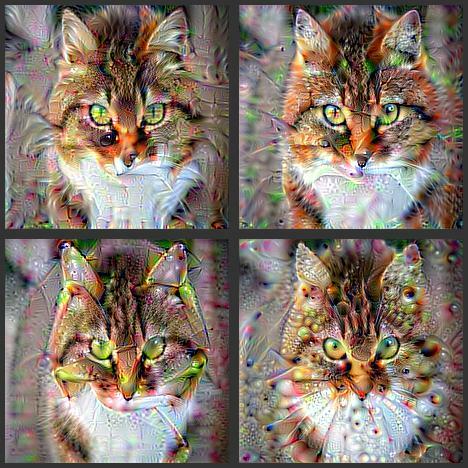 Beside being fun to look at one interesting real world application could be to investigate earlier layers in a network and try to get a feeling of what features and increasingly abstract concepts a network is actually learning (edges, ovals, eyes, faces, cats etc.) by looking at what it "dreams". See the image below for a network that seems to learn edges and patterns. 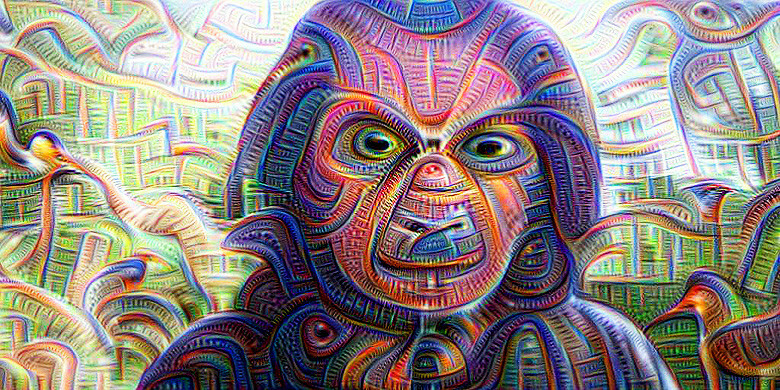 Sebastian mentioned in his answer that deepdream can be possible using NetDerivative. Here are my attempts following his outlines. Instead of using the inception model, I'm using VGG-16 here for simplicity. Inception model allows arbitrary image size, but may need some extra normalization steps. 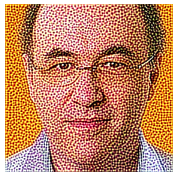 Here are the dreamed image at different pooling layers. 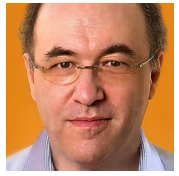 When we dream at early pooling layer, localized simple features show up. And as we get to later layers of the network, more complexity features emerges. The way to generate the deep-dream images can also be used to visualize the convolution layers in the model. To visualize on convolution kernel, we can attach a fully connected layer right after the convolution layer that keeps only one of the filter channel and zero all others. Cut the inception model at some level using Take. 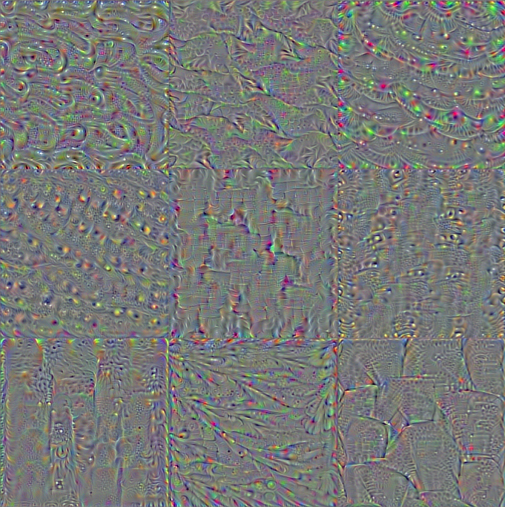 Then add a Ramp (or other) positive activation and SummationLayer: DeepDream simply wants to maximize the total amount of neuronal firing at the last layer (the original DeepDream implementation squares the output of the last layer, which isn't possible right now, but will be in 11.1). Using a SummationLayer produces a single output, so this can be used as a loss that can be differentiated. Optimize + Jitter: do gradient descent on the input image to find the image that maximizes the total activation of the final layer. But this alone doesn't produce any interesting results (this is a standard problem generating images from discriminative models). 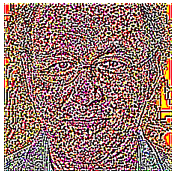 The key is to add some regularization, which in the case of DeepDream is random pixel jittering per iteration (see here for more detail + details of the image upscaling and downscaling used to improve results). 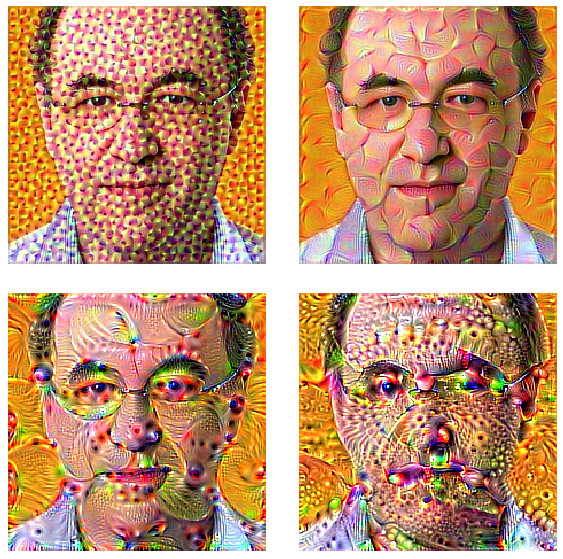 I plan to add a DeepDream example to the Mathematica docs once NetDerivative is a system function. And obviously these are just the steps you might follow, not a solution. But I thought it would be interesting for people to know how they might implement this. Not the answer you're looking for? Browse other questions tagged machine-learning generative-art neural-networks or ask your own question. How to implement neural style transfer?